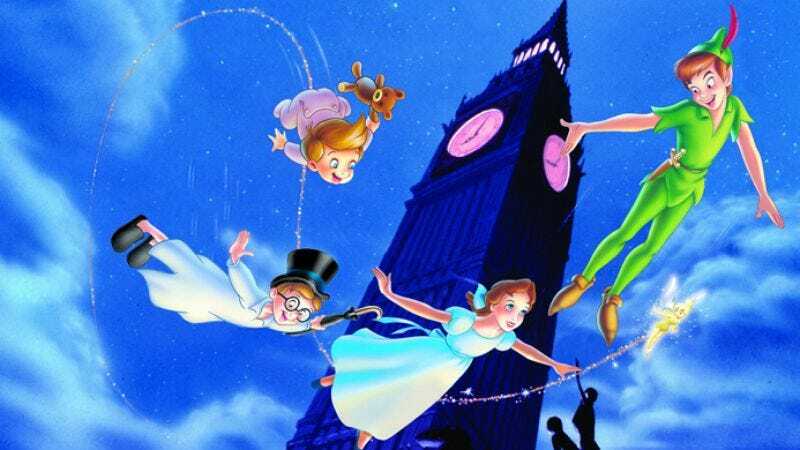 In the race to be the first Peter Pan project to beat all five other Peter Pan projects to making the public say, “Hey, what’s with all the Peter Pan projects?,” the winner appears to be Ben Hibon’s Pan, which now has a director, a cast, and an October start date all locked up, according to ScreenDaily. Titled Neverland when it was originally rumored—and currently posing a more direct challenge to the Channing Tatumed Pan—the film is a “dark reimagining” that casts Aaron Eckhart as the tormented detective Hook, who tracks a “childlike kidnapper” with the help of fellow detective Smee (Sean Bean) and Pan’s lone survivor Wendy (AnnaSophia Robb), freed from the asylum to aid in the hunt. And as “dark reimaginings” go, that is indeed pretty dark—all that’s missing now is some kind of “Tinkerbell” who turns out to be Pan’s meth-addled, transsexual former consort—although Fables’ Bill Willingham famously had a similar reimagining in mind several years ago, technically making this a dark reimagining of a dark reimagining. Which we suppose creates some sort of photo-negative reversal that makes it a lighthearted original idea. Bring your kids.